Spacious. Advanced. Comfortable. These are not the kind of adjectives typically associated with a truck; and yet, in 2018 Ram continues to defy those stereotypes with their production of the 1500 model. 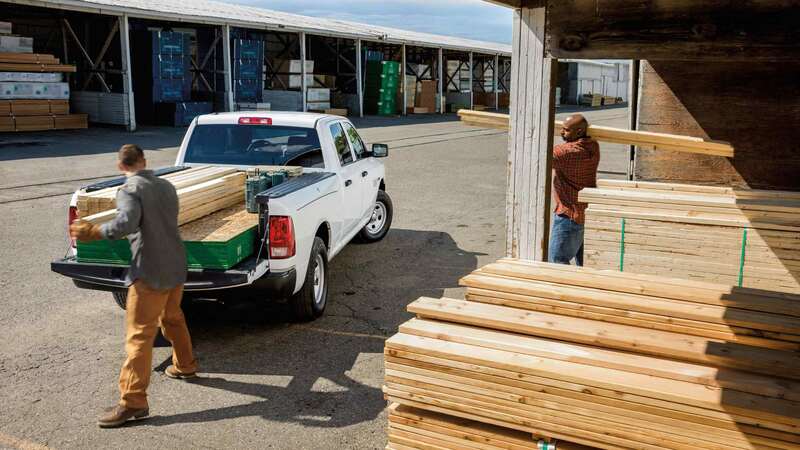 Already one of the most historically loved half-ton pickups to ever grace the market, the 1500 employs Rams most sophisticated engineering and design to date and in doing so embodies all of those qualities while maintaining its classes distinctive power, capability, and utility. Scroll down to learn more about the specific assets that make the 2018 1500 worthy of continuing the legacy. 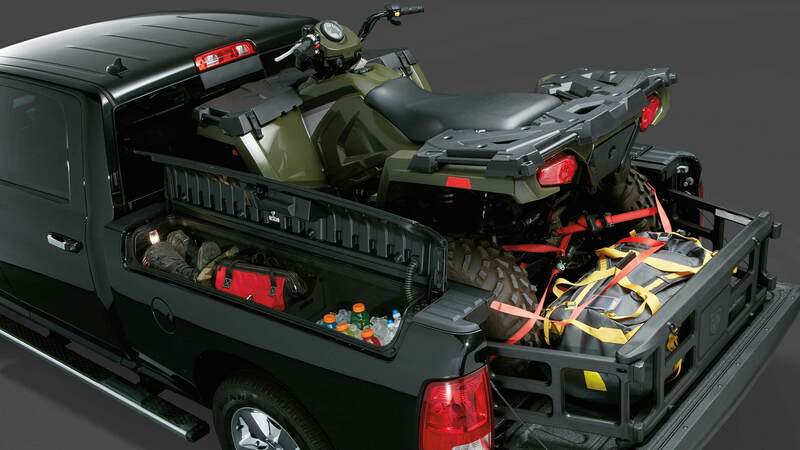 What's under the hood of the 1500? 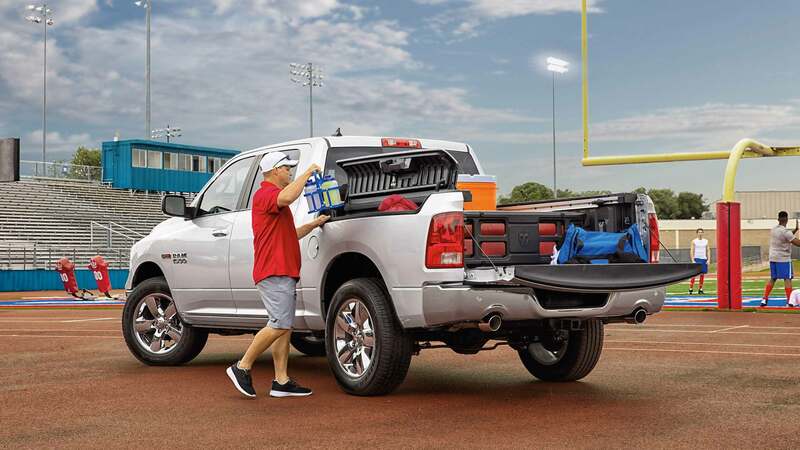 Combined with a standard 32-gallon fuel tank and paired with an effective and nearly imperceptible 8-speed transmission the Ram 1500's engine is guaranteed to get the job done, the only question is which one of the three options best suits you. The base engine is a powerful and efficient 3.6-liter Pentastar V-6 that reliably produces 305 horsepower, 269 lb.-ft. of torque, and 25 mpg. Following that is a more powerful 5.7-liter HEMI V8 that offers a formidable 395 horsepower, 410 lb.-ft. of torque, and 22 mpg. Then there is the class-exclusive 3.0-liter EcoDiesel engine. The EcoDiesel maximizes the 1500's gas mileage, reaching an economic 29 mpg, and pairs it with 420 lb.-ft. of torque and 240 horsepower. 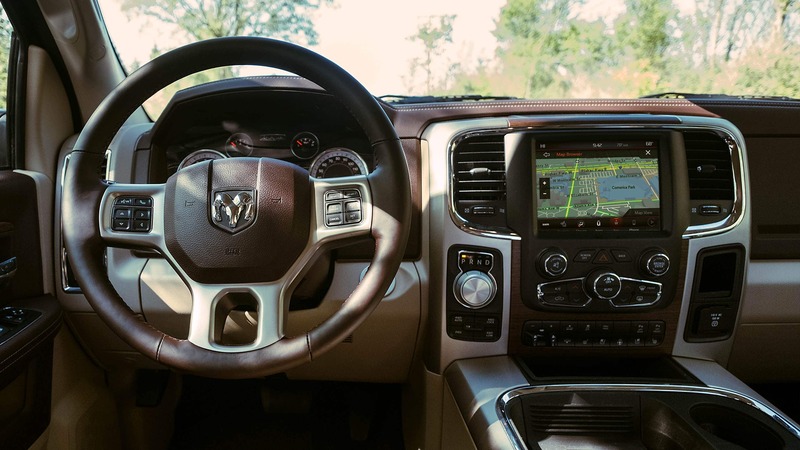 With the 2018 Ram 1500 there are a ridiculous eleven trims, three cab configurations, three bed sizes, and the previously mentioned three engines to choose from, making shopping for the 1500 one of the most personalized experiences on the market. 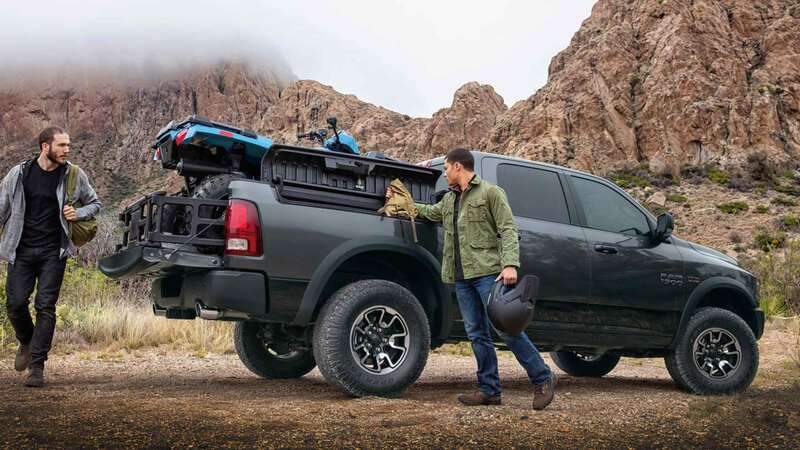 The trim options begin with the Tradesmen which boasts a collection of standard amenities highlighted by Class IV hitch receiver, a spray-in bedliner, and cruise control. Building off of the base each following trim maximizes a different trait, like the off-road-focused Rebel (all-terrain tires, Bilstein shock absorbers, and tow hooks) or the luxurious Big Horn which adds dual-zone automatic climate control, an 8.4-inch touchscreen infotainment system, cloth seating, a leather-wrapped steering wheel, and a power-adjustable driver seat. 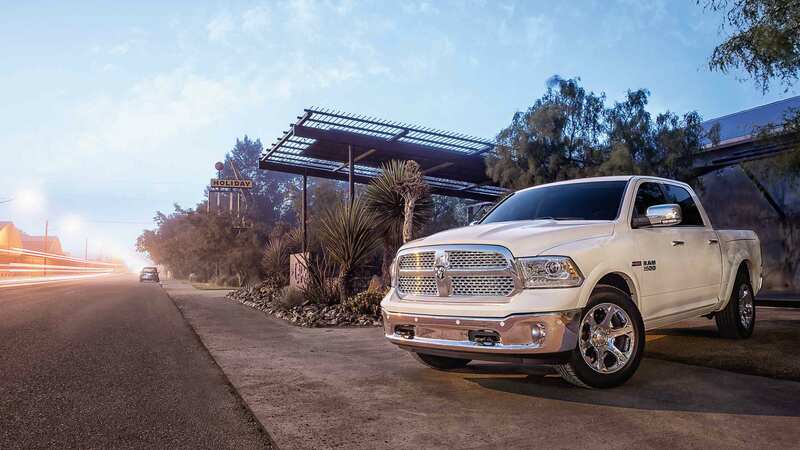 The strength and durability of the 1500's design make this Ram a formidable protector that will provide consumers with a confident peace of mind. Within the frame, every 1500 comes standard with a shielding layer of advanced airbags which includes: supplemental front seat-mounted side airbags, supplemental side-curtain airbags, supplemental side-curtain front airbags, and multistage front airbags that analyze the severity of an impact and deploy with appropriate levels of force. 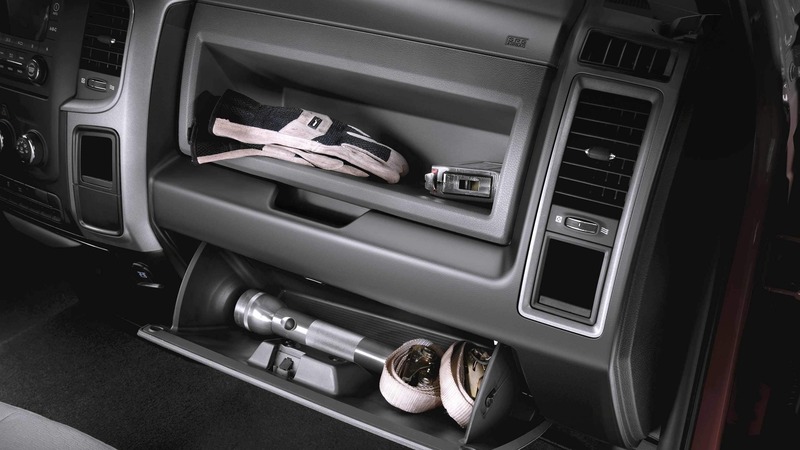 Other standard features include a ParkView rear back up camera and Jeep's electronic stability control technology which tracks the driver's path and applies minute braking and engine reduction in order to ensure that the actual path of the vehicle matches the intended. The 2018 model Ram 1500 provides consumers with such a ridiculous array of trims, engines, and cab configurations that it's impossible to NOT find a version of it that is perfect you. 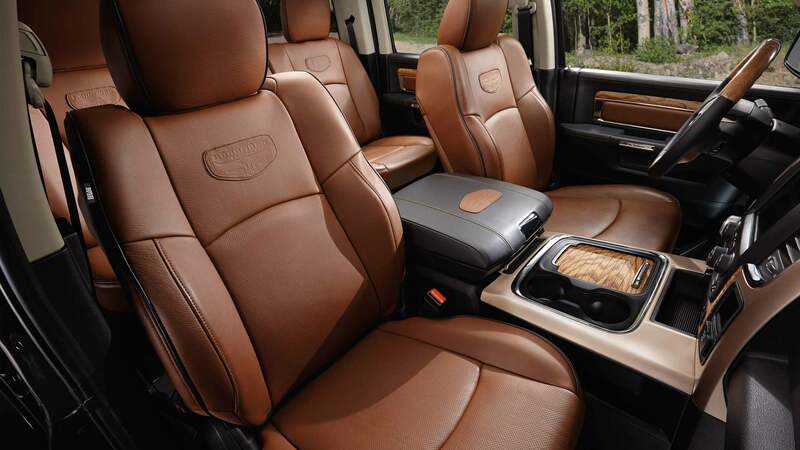 And no matter what you choose you're going to receive a comfortable, sophisticated interior and an industry leading smooth drive. Come visit us at our lot, or contact us online or by the phone, and find your perfect Ram 1500.